On the brink of collapse, Australia’s logging industry has been desperately trying to secure a future in native forests, and on its death bed has hatched one last delirious brainchild… BIOMASS ENERGY GENERATION. Biomass energy is the creation of electricity and fuel by burning resources – in this case wood from trees that are logged from natural forests on publicly owned land. The logging industry has been on life support for the last decade, surviving only on tax payer funded subsidies.1 With ethical wood from plantations winning the hearts of consumers, the native forest logging industry is dismounting the well- flogged horse that is the woodchip paper market, and is now desperately pedalling its wares to the eco-market, seeking a replacement source of income. The industry claims that burning forests to make energy is a clean, green, alternative to coal which is ‘renewable’, ‘carbon neutral’ and ‘environmentally friendly’. Lobbyists are even asking the government for money subsidies called ‘Renewable Energy Certificates’ – funding designated for the development of genuinely renewable energy sources such as wind and solar, for the purpose of reducing carbon emissions. ‘Environmentally friendly’ – because it will burn only the by-product or ‘wastes’ from logging operations, such as sawdust and wood mill shavings (and branches and leftover trees), to make electricity. But as demand for native forest woodchips continues to collapse there won’t be the ‘waste’ from chipping available, and inevitably the industry will demand logs instead. It wants to continue the present industrial scale logging – clear felling of large tracts of forest, with all the environmental damage and loss that entails. In reality, ‘logging waste’ means wasted habitat. A Biomass energy industry based on ‘logging waste’ will depend upon and secure the continuation of intensive clearfell logging in our native forests, to generate that very waste. ‘Carbon neutral’ and ‘renewable’ … because logged forests “just grow back and reabsorb all the carbon”. And that’s not all. 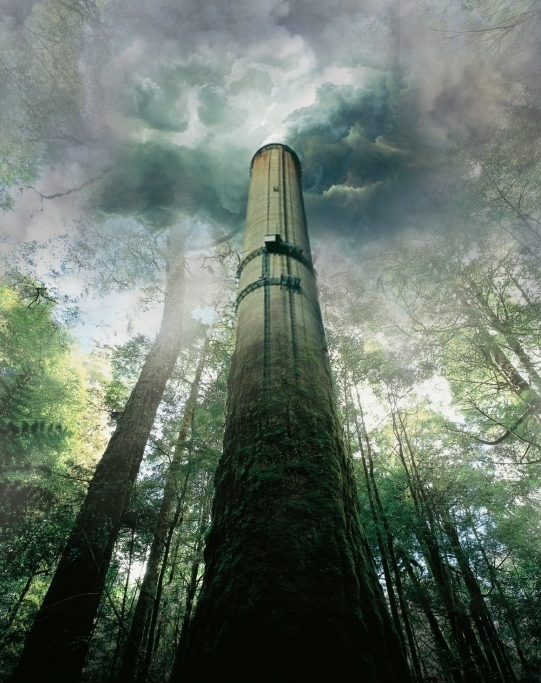 Other major carbon emissions come from deforestation, which include the loss of soil carbon and emissions from post-logging burns; the fossil fuels used in transportation; and the degraded carbon storage capacity in the forest re-growth. A logged forest can take generations to recover- if ever. Some types of native forests take hundreds of years to reach maturity, so with logging cycles as low as 20 years, the re-growth is cut down before it can ever reabsorb the immense quantity of carbon released from logging the original forest.5 With less forest, less carbon can be reabsorbed from the atmosphere. It’s a no-brainer. And how does that compare with forest biomass energy as a strategy for reducing emissions? To put it simply, it doesn’t. Even if every tree (not just the “waste”) logged from native forests in Australia in 2009 was burnt to make biomass electricity, it would only displace 2.8% of Australia’s energy production from coal.7 Not exactly a viable, alternative energy resource. Despite the logging lobby’s desperate attempts to spruik Australian natural forests as pine crops, fit for the burning, the eco market is wary. The prospect of consumers detecting the scent of singed fur lingering in light bulbs is strong enough to deter the major electricity wholesalers, who have refused to touch biomass from native forests. The bid to secure renewable energy status for biomass has already been blocked twice in the Federal parliament. Without renewable energy subsidies, the industry is economically unviable, and biomass power plant proposals lay dormant- for now. Biomass energy from native forests should be seen for what it is – expensive life -support for an industry on its last legs. But when the cost to the environment is so high, we need to ask ourselves: isn’t it time to pull the plug? Guest Blog Bio: Carmen Robinson has studied Environmental Science and Ecological Economics at Lismore Uni and University of Western Sydney. According to the 1992 EPAC paper “Managing Australia’s Natural Resources”, subsidies to the timber industry over the past 70 years amount to $5 billion. 5 The time period of the cutting cycle is at Eden is about 25 years and for SC-Southern less than 20 years. Freedom of Information 4/2/2008. Posted on November 4, 2012, in Guest Blog. Bookmark the permalink. 1 Comment.